By now you’ve heard me say that several times, but I really do! 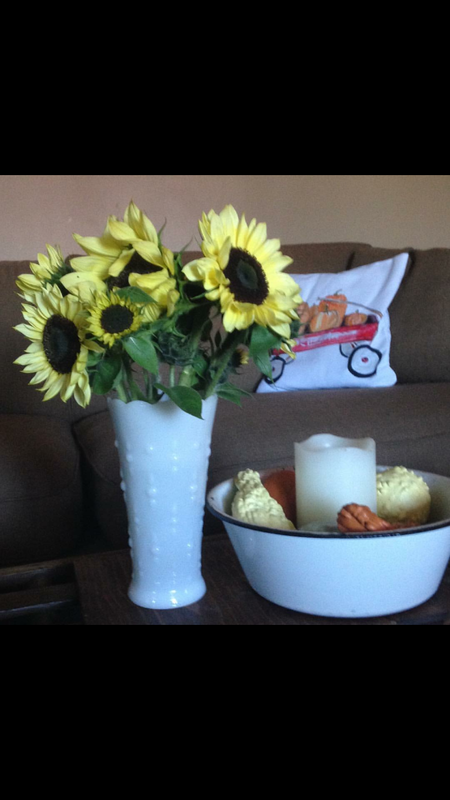 These crisp September mornings have me thinking Fall and I love to decoarate for it. I am sharing a couple of my favourite little DIY projects, pretty gourd bowl fillers and gourd garland. I go to the local farm stands every fall and buy up gourds of every shape and description. I enjoy them au natural for the season and then I set them behind my wood stove to dry out over the winter months. If they are not at all bruised, they will dry beautifully. I usually have about an 80% success rate. I can then use the dried gourds the next year. 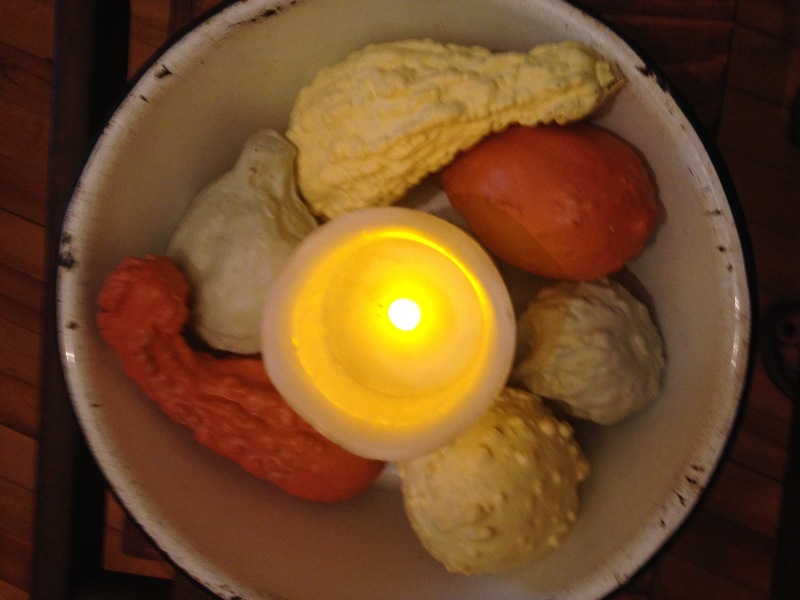 In the bowl above, I have some dried gourds I painted with FAT chalk paint in pumpkin, sea glass, and buttermilk. 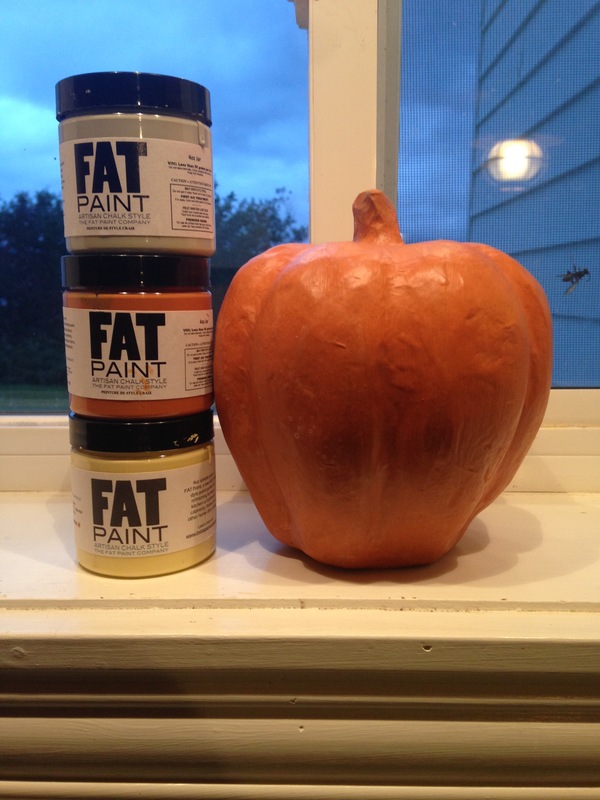 You can achieve the same look with store bought faux gourds and paint them to match your decor. I find that many of the Dollarama gourds have a great shape, but the paint job leaves a lot to be desired. That is an easy and inexpensive fix. I just finish them off with clear wax, but a clear poly would also work, and they look lovely. A battery operated pillar and enamelware bowl are the perfect compliment to my newly painted gourds. A little paint made this ugly Dollarama pumpkin look like a million bucks. I wish I had taken a before pic, as the transformation was foolishly simple. 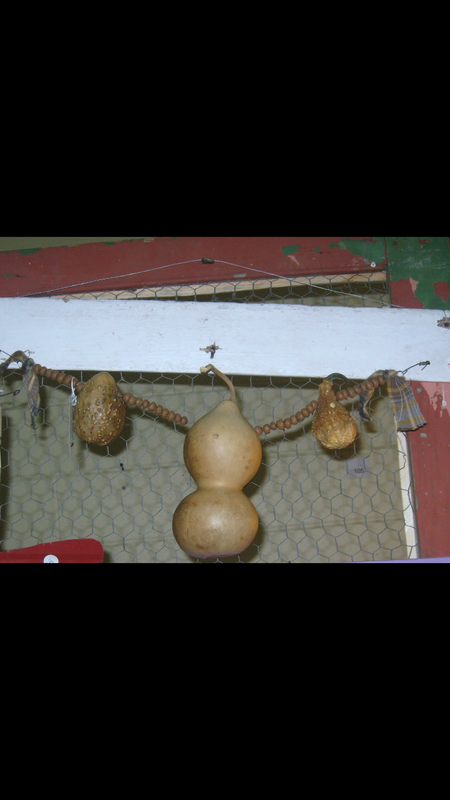 You can use the same gourds for a second project, a garland. Fabric scraps if you want. To make my gourd and acorn garland I did a little foraging in the yard to gather up acorn caps. Then I took out some of last year’s dried gourds and carefully drilled holes in them so I could fish the wire through then. This can be tricky, and I did ruin one by breaking it when I attempted to drill the second hole. They can be a little finicky. Thread gourds and acorn caps on to make an eye pleasing pattern. Loop ends of wire for easy hanging. A quick spray of poly to seal it, and there you have it. 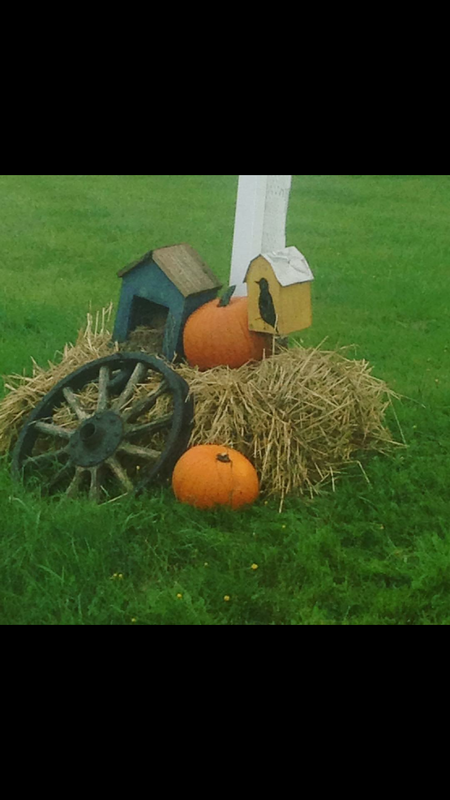 I hope you like this simple, fun touch of autumn.